"The workplace is getting smarter and therefore, employees are working smarter." 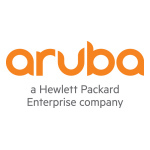 Employees who work in digital workplaces are not only more productive but also more motivated, have higher job satisfaction, and report an overall better sense of well-being, according to a new global study from Aruba, a Hewlett Packard Enterprise company (NYSE:HPE). The study, The Right Technologies Unlock the Potential of the Digital Workplace, reveals both the business and human benefits of more digitally-driven workplaces, and how companies that are less technologically advanced are at risk of falling behind the competition and not attracting top talent. It also notes that companies must be vigilant as more digital-savvy employees are taking greater risks with data and information security. Beyond productivity, digital tools unlock human benefits: “Digital Revolutionaries” - employees identified as those who work in fully-enabled digital workplaces where new workplace technologies are in widespread use - were 51% more likely to have strong job satisfaction, and 43% more likely to be positive about their work-life balance than “Digital Laggards” - those who have less access to workplace technology. The Revolutionary employees were also 60% more likely to say they are motivated at work, and 91% more likely to praise their company’s vision. Continued advancements in digital technology and automation pave the way for better workplace experiences: While automation can be perceived as a threat to job security, our research found that there was widespread enthusiasm for it. 71% of respondents said they would welcome a fully automated workplace in the future, allowing organizations to build smarter, more effective working environments. The study also found that employees are enthusiastic about new technology and have a desire for their employers to provide more. Almost all respondents (93%) thought their workplace would be improved through greater use of technology, while 64% said their company will fall behind the competition if new technology isn’t implemented. The same portion (64%) believe the traditional office will become obsolete due to advances in technology. 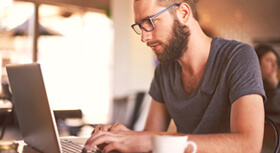 Globally, 69% of respondents said their companies have invested in digital workplace tools in the past year, and interest is growing in a new generation of technologies including smart building tools that automate temperature controls and lighting (24%), voice-activated and wireless AV technology (23%), and custom corporate mobile apps (23%). Most respondents thought digital technology would result in a more efficient (56%), more collaborative (52%) and more appealing (47%) work environment. Although employees reported higher levels of cybersecurity awareness (52% think about security often or daily), they also admitted to taking more risks with company data and devices, with 70% admitting to risky behaviors such as sharing passwords and devices.